Are Headaches After A Colonoscopy Normal? The good news? Your not-so-eagerly-anticipated colonoscopy is over! The bad news? You now have a raging headache. Is this normal? The annual Our Health Richmond Bedside Manner awards were recently announced. Congratulations to all the Richmond area providers who were recognized and thank you to all the CRS patients who voted for our colon specialists and practice. Dr. Gentry, Dr. Charron and Dr. Vorenberg were all recognized in the General Surgery category. Dr. Charron received the first place award, Dr. Gentry received the third place award and Dr. Vorenberg received an honorable mention. The mission of all the providers in our practice is to provide high quality medical care for the diagnosis, treatment, and prevention of colorectal cancer and other intestinal and anorectal disorders. Read more about our practice or the 2017 Bedside Manner Awards. It is finally starting to feel like fall in Richmond and the holiday season will be here soon. This usually means errands and shopping, trips to visit family out of town, holiday gatherings, parties and even end of year deadlines at work. During this busy time of year it is easy to make others a priority and forget about your own health and well-being. Skimping on sleep, driving past the gym and putting off important appointments, like a routine colonoscopy, are more common. At Colon & Rectal Specialists we know it can be hard to schedule appointments when life gets busy. No matter what time of year. This is why we offer Saturday Colonoscopy Clinics – to give our patients more convenient scheduling options. A simple colonoscopy can save your life, so there’s no reason to put it off. Prep is easier than ever and the procedure itself if relatively painless. Dr. Gentry has a limited number of appointments available on Saturday, November 18th in our private Stony Point endoscopy suite in Richmond. Call (804) 249-2465 to schedule this potentially life saving test and give your family the best gift of all this holiday season – your health. Can You Take Pain Relievers Before A Colonoscopy? 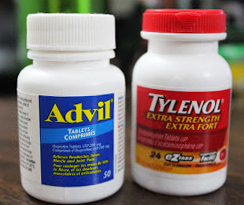 Wondering if you can take Advil or Tylenol before or after a colonoscopy? This is actually a very common question.